Alovely and simple free crochet baby blanket pattern is a sweet homemade baby gift idea. The colored border adds some interest to this simple and warm baby blanket. I have shown it in cream and a soft green. It would be so sweet with baby's monogram embroidered into the center or onto a corner. Here are some wonderful free embroidery alphabet patterns. This is one of those easy baby blanket crochet patterns that makes a perfect homemade baby gift. 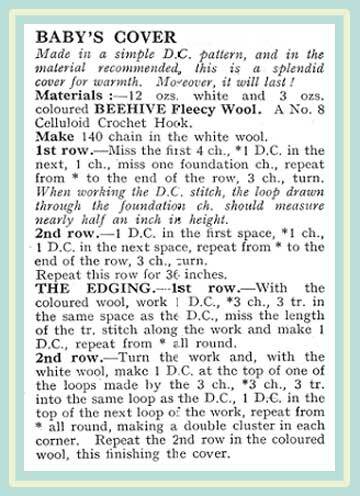 It was originally published in the Beehive Knitting Booklet no.9. Please feel free to use this pattern for your own personal use, but not for commercial purposes. Please find more free crochet patterns on this page. 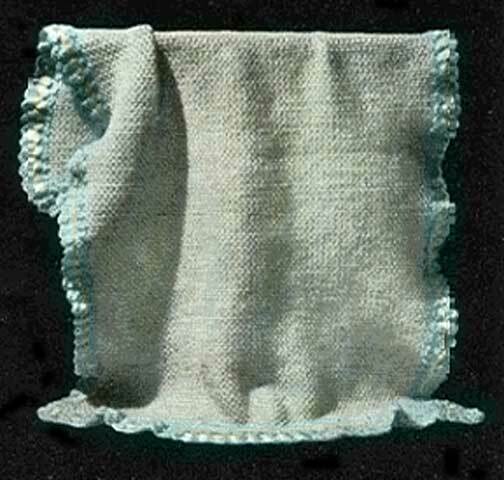 Click here for a free pdf copy of this free crochet baby blanket pattern. so that you can come back again soon!